Home » Financial Tips » Loans » Pawn broker » Should You Borrow from a Pawnbroker? 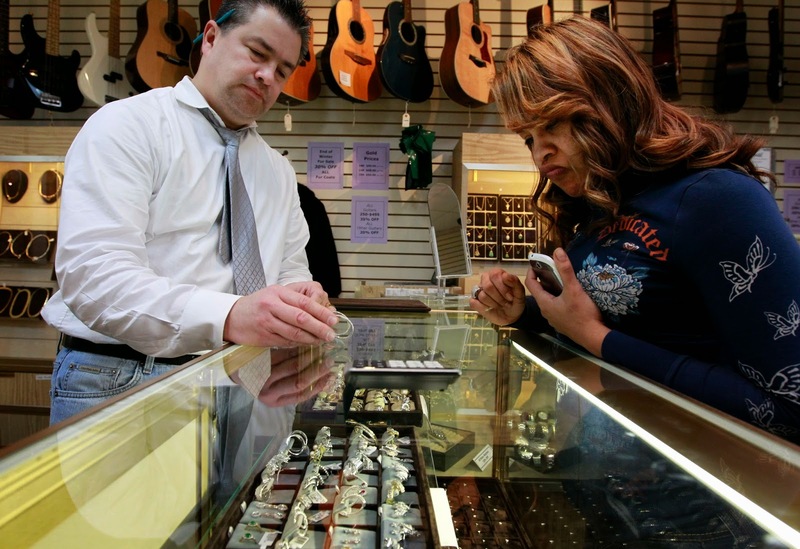 Should You Borrow from a Pawnbroker? As high street lenders clamp down on giving people credit, pawnbrokers like H&T are becoming an increasingly popular option with borrowers looking to secure capital. The way that pawnbrokers work is simple. The lender is granted the money they need in one of two ways: either through the sale of an asset (in which case the capital belongs to them instantly), or by offering an item as security in exchange for a loan. There are many advantages attached to borrowing from a pawnbroker, and it is these that are making them so popular with borrowers. They tend to lend money quickly, and there are usually no credit checks required before loans are granted. For the struggling debtor and those in need of a quick cash fix, this makes them seem like an ideal solution. But are they really all they're cracked up to be? As mentioned above, pawnbrokers work by offering money in exchange for one of two things: the purchase of an item, or the holding of an item of security. The first option is a simple act of sale, so we won’t explore it any further here. The second option is the more popular of the two. The borrower hands over an asset, usually jewellery, and in return the pawnbroker offers them capital. The specific details of the loan, such as how long you have to pay the money back, should be set out prior to the capital being handed over. Loans may last for anything up to seven months. To protect you as a seller, the pawnbroker will give you a receipt as proof of ownership, to allow you to get the item back once the loan has been repaid. You might be wondering what's in it for the broker. The answer is easy; your loan will accrue interest, and the rate will often be greater than the interest charged on personal loans. Typically, it will be around 5-12 per cent per month - a figure which can add up rather quickly. As a rule of thumb, most brokers will allow you to repay the full sum at the end of the loan agreement, rather than requiring you to pay back a set amount each month. You will also have the flexibility to pay back some or all of the sum early and thus reclaim your item. In some cases, pawnbrokers may be willing to extend the term if you find yourself unable to repay them, although they always have the option to refuse to do so. Usually, they will not extend such an offer to you unless you've at least managed to pay back the interest you've accrued. Pawnbrokers certainly have their uses, but it would be unwise to assume that they're a perfect fit for every borrower. Firstly, they tend to carry relatively high interest rates, making them an expensive way to borrow money. Secondly, they give the lender the power to sell your item if you can't repay them. They'll usually have offered you much less than it's actually worth, meaning that they profit but you're left out of pocket. Despite this, items still sometimes sell for less than they're worth, and less than you received in return for handing them over as security. Where this happens, you'll find that you remain liable for any outstanding debt. However, it's not all bad, or else pawnbrokers wouldn't be so popular. Borrowing money in this way can be a godsend for those who are desperate but find themselves with a poor credit history, as no checks are carried out. Pawnbrokers can also be a good solution for those who need money quickly, as capital is usually handed over on the same day as the agreement is reached. An added boon is that this type of loan tends to be very flexible: as a rule, you can redeem your goods at any time, and many brokers are willing to extend the term. An advantage of the former is that if you manage to raise the money to repay your broker earlier than expected, than you'll pay less interest than you feared because this only accrues for the actual length of the loan. If you find yourself stuck between a rock and a hard place, could a pawnbroker offer a viable way out for you? A note on the 'drawbacks' section - if you don't repay your loan and the pawnbroker sells your asset, you no longer owe anything - even if the asset sells for less then anticipated. In fact, when the pawnbroker sells the item, they only need to recover the amount lent (debt and interest) plus any admin fees and then they contact the customer offering any surplus back.